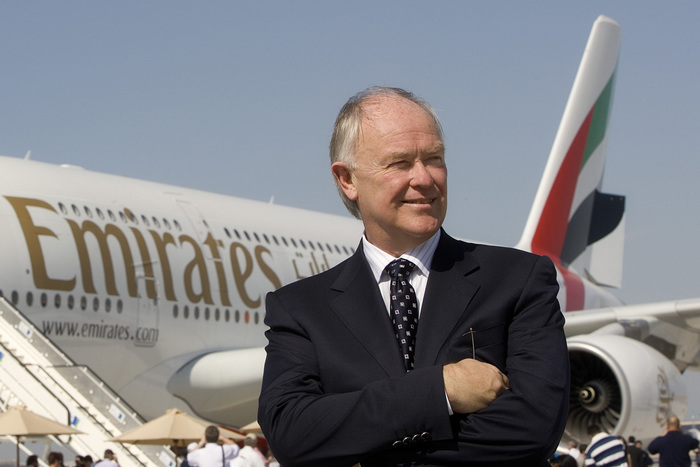 Head of Dubai-based carrier Sir Tim Clark has indicated that the Emirati flagship airline does not fear competition from Air France-KLM after the joint venture launched its low cost and long haul subsidiary ‘Joon’ to challenge competitors. The subsidiary was unveiled late last month and will start operating in December from Roissy airport in France. The single aisle aircraft will start long hauls from March next year, with 10 A350. Clark in an interview with Netherland-based Het Financieele Dagblad newspaper indicated that he is fearless over the future competition with Joon. “I am not convinced they have the capacity to do anything in France,” he said. “If it were KLM alone, I might be a little worried. But I’m not so sure,” he said. “That’s why I say: bonne chance. It is a huge risk,” he noted. President of the Dubai-based airline says given the limited fleet of the French and Dutch subsidiary, there is no need to worry. For Clark his company needs to buy more aircrafts, A380s in particular pointing out that the potential market is still huge. Emirates currently operates 96 A380s. The flagship carrier has been rumored to buy 150 of Boeing’s 777X aircrafts with delivery expected in 2020. It will be first airline to fly the 350 to 435-seater aircraft tailor-made for long hauls. Written by: KanelkaTagba on October 6, 2017. Posted by KanelkaTagba on Oct 6 2017. Filed under Gulf News, Headlines. You can follow any responses to this entry through the RSS 2.0. Both comments and pings are currently closed.